Christmas is almost here, and we’re definitely feeling the cheer at Energy Saving Lighting! If you haven’t decorated yet, it’s time to get started, and this month’s product review is sure to help you get inspired. Our Brilliant Brand LED Raspberry Lights are perfect for decorating this time of the year! These lights come in a variety of color options, including red, green, blue and white, as well as multi-colored lights, so you can choose the option that works best with your overall decorating theme. With a green cord color, the cord will blend in perfectly with your tree or look festive along your roof, depending on how you plan to use these to decorate. Our favorite part about these lights is that they’re connectable. You can connect up to 43 sets to make a well-lit and absolutely beautiful display. They’re also weather-resistant for the perfect outdoor display that won’t fail you when you get the white Christmas you’ve been hoping for. Of course, these lights are good more for than just Christmastime. They can make for fun crafty displays, elegant bedroom or bar décor, birthday party decorations and even as landscaping lights, so you can use them year-round. What do you think would be the best use of these lights? Let us know in the comments below! Is there any time of the year better than Christmas? The cheer, the food, the time with family and friends and, of course, the decorations all come together to make this such a magical season. 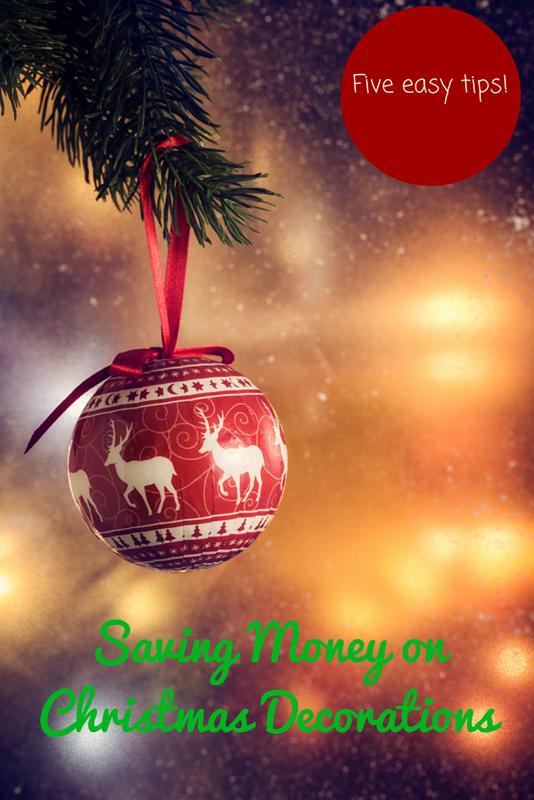 However, this is probably also the most expensive time of the year, and if you’re like most people, you’re probably looking for ways to start saving money at Christmas. Well, at Energy Saving Lighting, one of our favorite ways is to make Christmas decorating more energy efficient so electric bills aren’t yet another item eating up paychecks. We’re excited to tell you about our five favorite tips for making Christmas decorations more energy efficient. 1. Use LED Christmas Lights — Okay, you probably expected this one coming from us, but it’s amazing how big of a difference this makes. Incandescent Christmas lights use about six times as much energy as LED lights. Considering that over the course of a holiday season, the difference really adds up. Additionally, if those old incandescent lights have cracks or are missing some of their insulation, they may be using even more energy and posing a safety risk for your home. Updating your lights to LED Christmas lights is worth the cost. 2. Limit Time Lights Are On — While it may seem more festive to have your lights on for the entire holiday season, this practice can be a big culprit for high holiday energy bills. Consider waiting until it’s dark to turn your lights on and turning them off before you go to bed. Six or fewer hours of daily use is a great goal here because it will reduce your energy use while maximizing the life of your lights. 3. Turn off Room Lights When Tree is Lit — Is there anything more beautiful than a tree lighting up a darkened room? Go for this look this season and your energy bill will thank you for it. Even if it’s not feasible to turn off all of the lights in a room when the tree is lit, reduce your energy usage in the room by using only a lamp or two. 4. 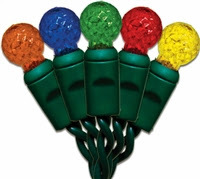 Buy the Right Set of Lights — Most Christmas lights will specify if they’re for indoor use or outdoor use. Look at the product specifications and ensure you’re purchasing the right lights for your use. Using indoor lights outside and vice versa can significantly reduce the life of your lights and make them less efficient. 5. Add Reflective Ornaments and Tinsel — By embracing reflective ornaments and tinsel, you won’t need to use as many strings of light, making your home a little more energy efficient. What’s your favorite way to decorate for Christmas? Let us know in the comments below!